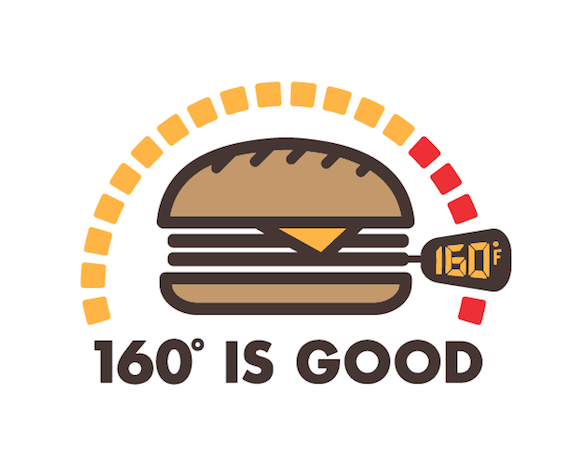 In the battle of the beef, 160° is good. Turning a sauté of scientific facts into a perfectly prepared public service campaign that educates and entertains (sans any fear-inducing nausea or narcoleptic boredom) is exactly what national university researchers and the FDA tasked Firespring to do while working in collaboration on the STEC CAP grant. 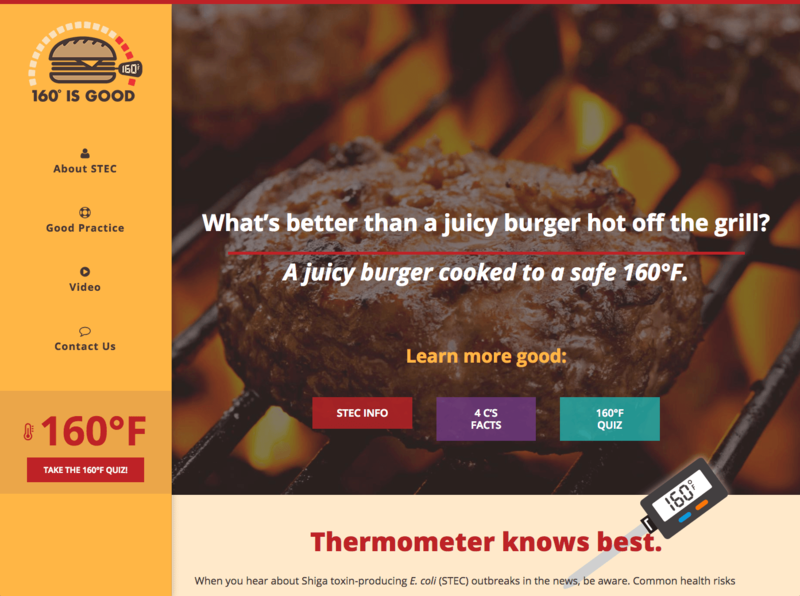 A feast of marketing strategies and tactics was dished out to a preselected test market expressing the dangers of Shiga toxin-producing Escherichia coli (STEC) in ground beef hamburger patties and how to avoid consuming it. 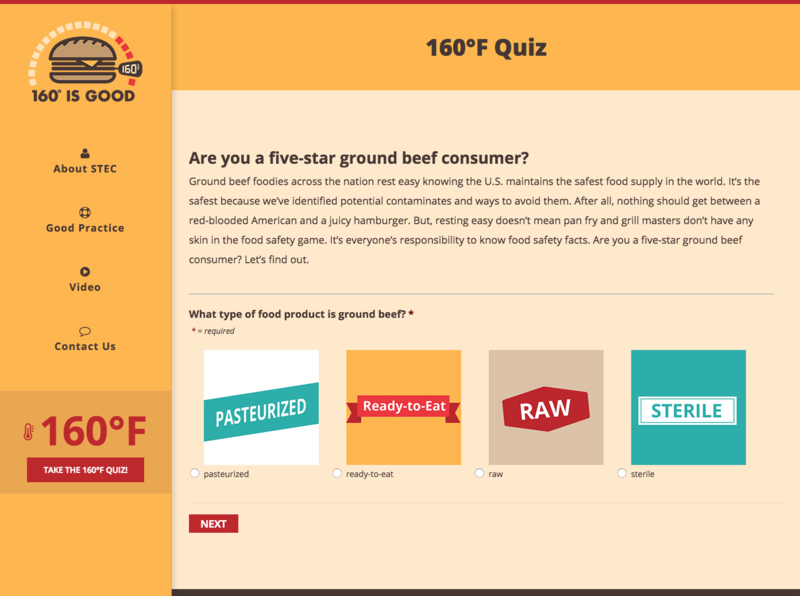 The result was an award-winning campaign that included a microsite housing a fresh logo, social quiz and an animated video in addition to radio spots and animated digital assets which performed at or above standard industry benchmarks.